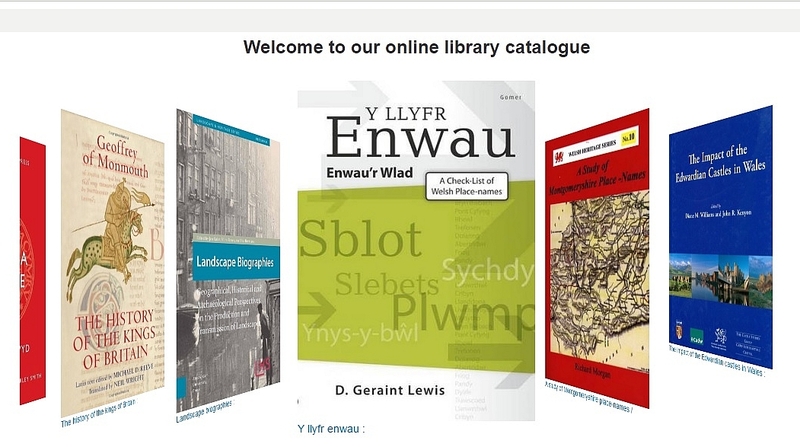 The Library catalogue provides online access to the Royal Commission’s Library collections which covers all aspects of Welsh archaeology, architecture, history, maritime archaeology, topography and cartography, planning legislation and historic environment strategy. Texts covering wider geographic areas are also collected to provide context. Holdings are particularly strong on the subject areas of prehistory, Roman Britain, Welsh nonconformity, Welsh topography, vernacular architecture and industrial archaeology. The library collects the current county historical journals for Wales, as well as relevant specialist archaeological, architectural and historical periodicals. Click here to search our online library catalogue. Browse the collections using the ‘Browse shelf’ feature. View a selection of newly catalogued material on the front page carousel.